Then I decided to have some fun with the geolocation services built into iPhone and other mobile browsers (and now some desktop browsers as well!) 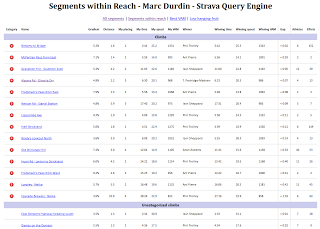 With this, I hacked up a little page that would show me all the segments within 5km of my current location, plus the all important competitive data to help me decide which segment to go for today! No guarantees on these pages – they are setup to work only for my data at present, unless you know the secret incantations to populate the database with your data as well. This is absolutely fantastic – just what I am after infact! 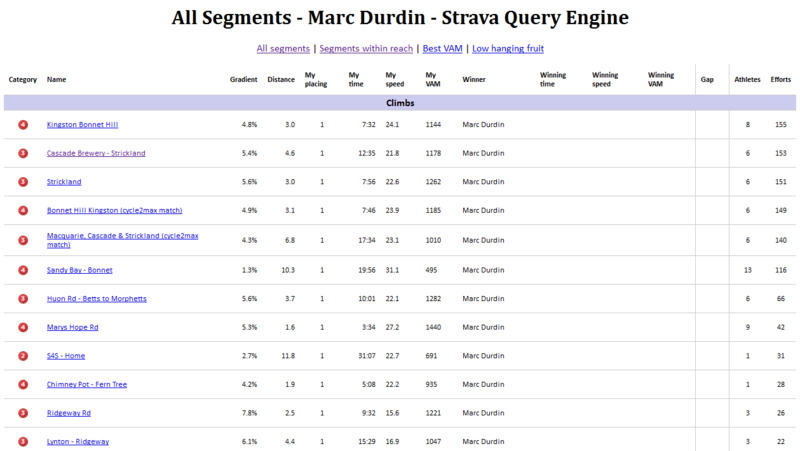 It’s all written according to the public Strava API, so anything I’ve got here you should be able to do as well. If I get some time I’ll blog about some of the more interesting snippets. Thanks Brian 🙂 I’ve just had 2 requests in the last 2 days for the source to my site. I’ll pull the bits that I can when I get a moment shortly and pop them on the blog, as is. Won’t be very pretty though! Did you get around to releasing the code at all? It’s nice to reverse engineer sometimes rather than start from scratch, but I’ll start looking at the API docs shortly anyway! It comes sans comments and with a lot of guff. 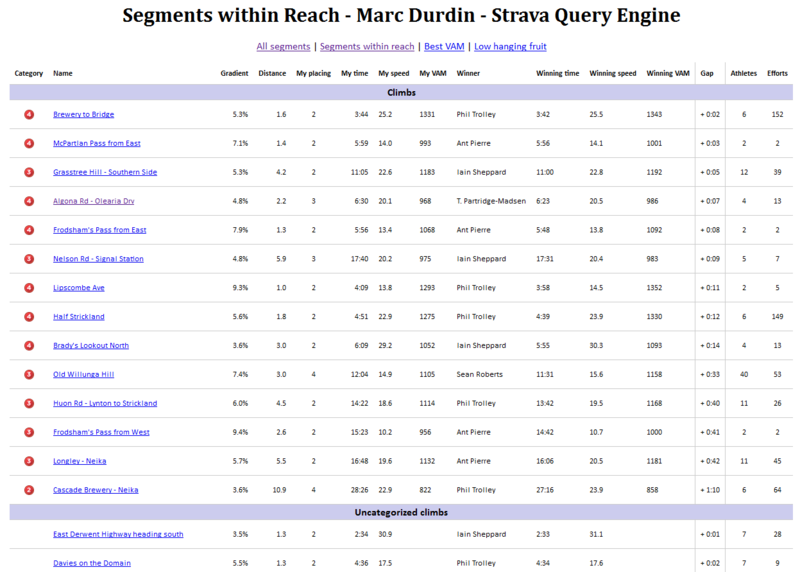 Haven’t had time to do anything with this for quite some time, so some of it may not even work any more with the updated Strava APIs. Sites like veloviewer and raceshape kinda trump a lot of this! I do have a scheduled task running on my server to run download/daily.php to collate the data and that much, at least, is working. Have you had a chance to try out the create/upload API call? I was trying it out and I got a response back with a new ride id, but when I try to show the ride with the new id (i.e. http://www.strava.com/api/v2/rides/41569352), it tells me the ride has been deleted. I am just wondering if anyone here had any luck with it or are running into the same issues? Sorry Allen, I’ve never tried the create or upload call. Does this just show your data or can it show mine too? I noticed the URL said AthleteId=7 – tried replacing that with my AthleteId, but it didn’t work. Alex, sorry, the back end is populated with only my data at present. 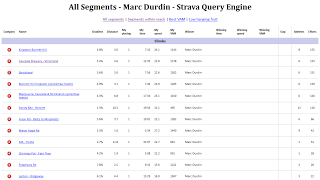 Veloviewer.com does a great job of presenting Strava data, more than my page does — you could play with the source linked above or veloviewer for your own data?